In January, precious metal prices peaked. Since then they have fallen substantially by 9% (gold prices). In recent weeks, the sell-off has accelerated. There are several reasons for this price weakness. Trade War– a looming trade war between the US and China has weighed on prices, especially cyclical precious metals such as platinum and palladium. US Dollar- Rising U.S. Fed rates and rising real interest rates – up 20% from the start of the year as measured by 10-year bonds — are supporting the dollar. While the dollar remains strong, gold is being depressed. To some effect, the metals markets are experiencing the same depressing impact on prices. The recovery of the US dollar is negative for all precious metal prices. Euro-a downshift in expectations about the euro zone economy has been a negative for precious metals. 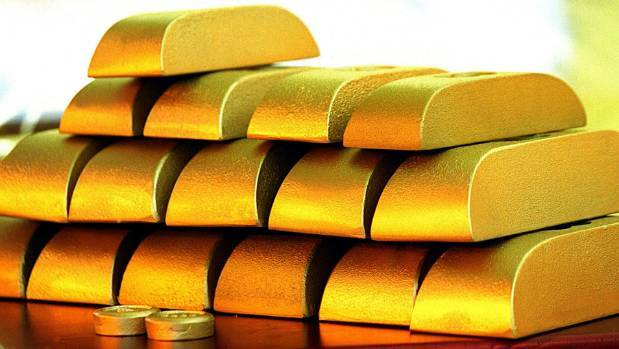 Global Markets– weakness in emerging markets has lowered all precious metal prices as well. More recently the substantial fall in the Yuan has accelerated the decline in precious metal prices. Yuan weakness reflects the heightened trade tensions between the US and China and nervousness about Chinese corporate bond defaults. China is a crucial consumer of precious metals. So fears of lower Chinese demand are negative for prices. But this may not be the end as markets believe that this downfall may continue. The US dollar is expected to strengthen further due to strong economic data and ongoing Fed Hike. Furthermore, markets look negative for gold as the 10y US Treasury yields is expected to rise. Gold and other precious metals are highly sensitive to these issues and hence analysts believe the gold, in the near-term, is expected to fall. In addition, trade tensions between the US and China will probably linger on and there may be more volatility in the Chinese Yuan in the near term. These are also negatives for precious metal prices. In such an environment, holding gold is seen as a cost, not an opportunity. Although market turnover has been high, the bulls have not been in evidence and prices have remained depressed. Though precious metals are expected to fall, hope still prevails over the factors that support gold prices. U.S. – By the end of the year US dollar and 10y Treasury yields are expected to peak. Which further pours in the thought that it might pull down from its peak? Lower US growth could result in a downward adjustment in demand. Moreover, we expect the fall in the Chinese Yuan to come to an end as Chinese authorities will probably intervene to calm sentiment. We find it hard to imagine the Chinese authorities letting the Yuan drop in an uncontrolled manner. However, in the near-term, Yuan weakness may yet continue. In addition, our base case scenario is that a significant escalation of the trade conflict is averted. This should support all precious metal prices. We expect gold prices to bottom out between USD 1,200 and 1,250 per ounce and silver prices between USD 15.2 and 15.6 per ounce. We see these levels as an opportunity to position for higher gold and silver prices next year. If sentiments were to change and, for example, growth was to slow in the U.S. in reaction to trade concerns, then gold could make headway. But while the dollar is king, gold will remain lacklustre despite rising tensions.